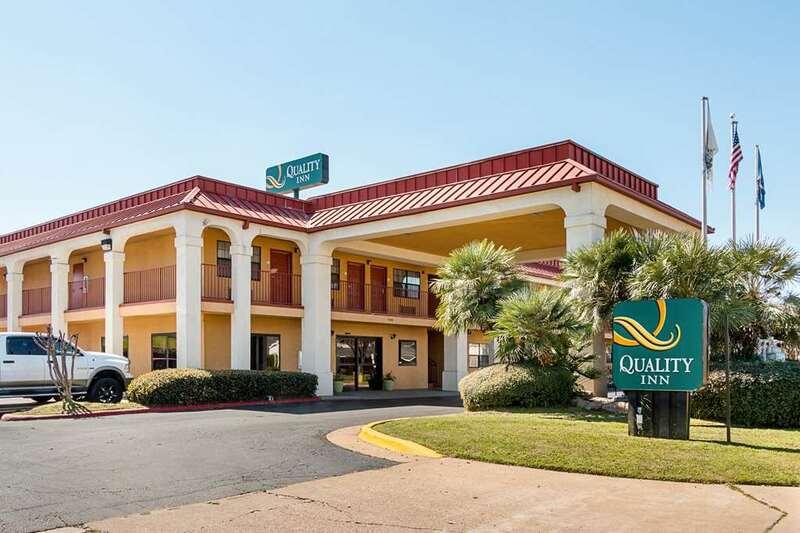 Get more for your money at the Quality Inn hotel in Bossier City, LA near Barksdale Air Force Base. Our convenient location, just off of I-20, makes this hotel your ideal lodging destination when headed to the Shreveport area. Business travelers appreciate our copy and fax services. Plus, as our valued guest you also can enjoy our free hot breakfast, free WiFi, free weekday newspaper, outdoor pool and tennis court. When you settle in for the evening, relax in your guest room, which features a refrigerator, microwave, premium bedding, coffee maker, TV and hair dryer. Also, earn rewards including free nights and gift cards with our Choice Privileges Rewards program. Credit card must be in name of guest only.